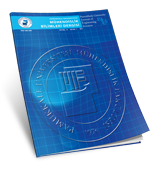 Welcome to the web page of Pamukkale University Journal of Engineering Sciences. As of May 2012, all manuscript submission and evaluation processes are performed online via Journal Agent System. Each paper which are submitted and accepted via Journal Agent System is given a DOI number.